In the sense of the traditional school bus, with its vehicle built and its interior. Stationed along the side of the road, this blue school bus is intentionally positioned as anything but a school bus. 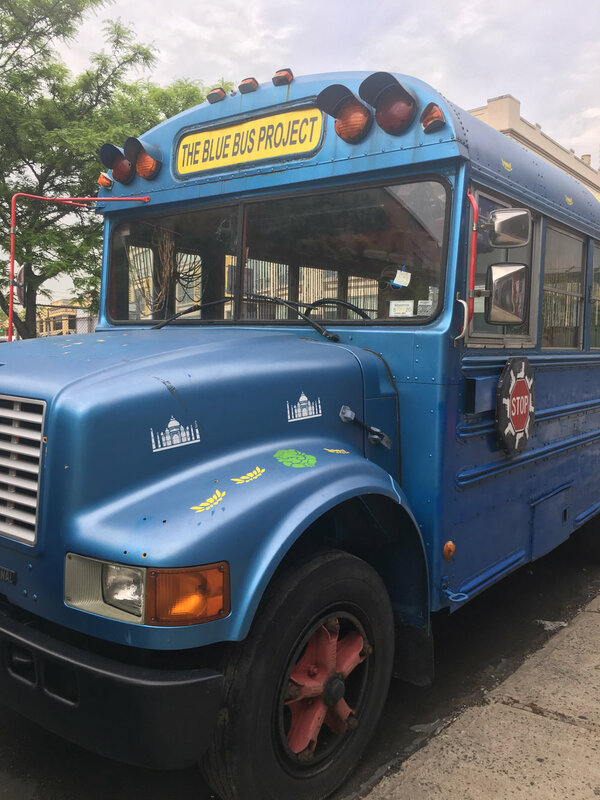 Named as “THE BLUE BUS PROJECT”, this school bus stands as a message to its many symbolic and physical references placed on and in this vehicle. 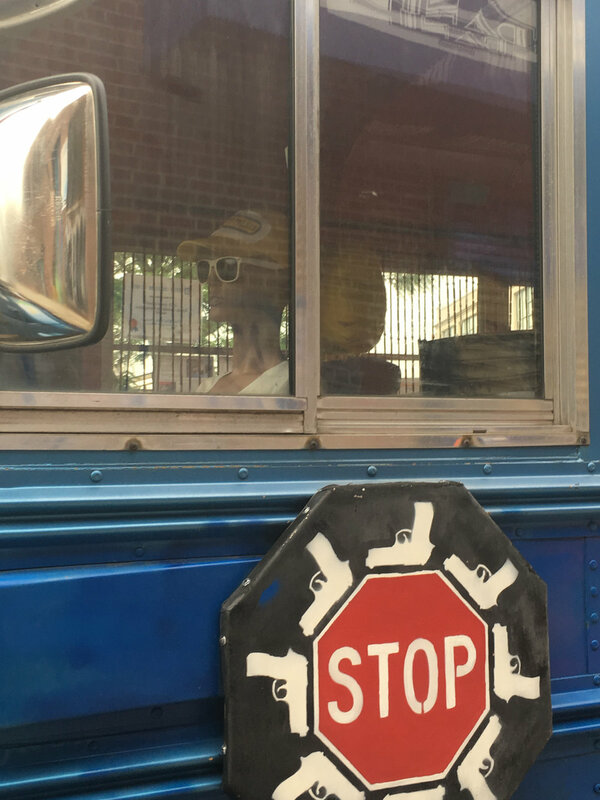 The “STOP” sign traditionally pulled out to warn drivers from proceeding in the vicinity of the halting of the school bus, states “STOP” but not in the same assessment. With guns circling the red stop sign, it references the hold off of gun use. With a dummy driver in the front seat, it leaves way for its performative element. Used in many socially waking acts, The Blue Project leaves way for conversation and engagement to occur with the bus as its vehicle. Quite literally! More of their project based work can be found on their site at The Blue Bus Project.